This is about the credibility of the Intergovernmental Panel on Climate Change (IPCC), its view that man-made CO2 is causing global warming, and that global efforts are required to stop it. Such views have made trillions of dollars available for political interests. But trillions of dollars, like absolute power, corrupts absolutely. So far the result has been a decisive victory for politics over science. But the tide is turning. Some scientists are calling it the biggest scientific fraud ever — a fraud because the IPCC’s propaganda relies on imperfect computer models and is not supported by the science. Instead of using ALL the evidence the IPCC picks what it wants and ignores the rest. This is not how science works. To date the IPCC has been exposed in several dozen science-based books. 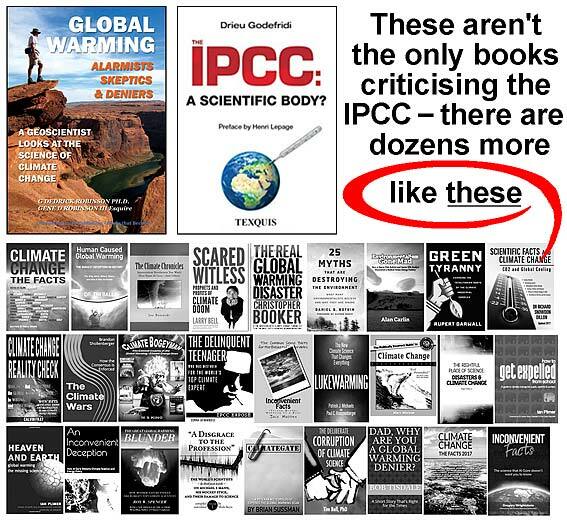 In fact there are now more than one hundred science-based books criticising the IPCC. The debate is not about who can shout the loudest, or best evade awkward questions, but about what the science is saying. Below is a survey of world-class scientists and science academies from ten countries around the world. 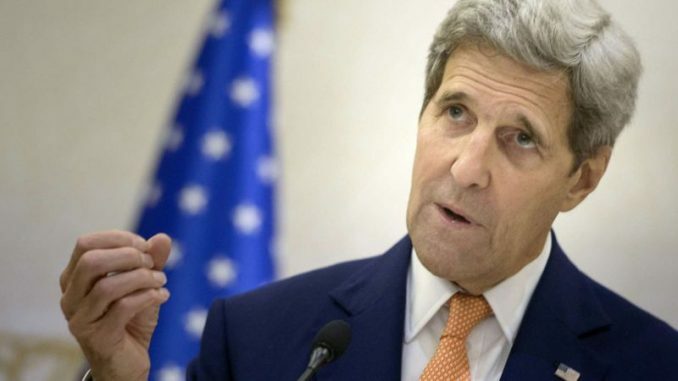 They have no political interests, are leaders in climate research, and know whereof they speak. They provide many comments worth framing and hanging on your wall. So please pay attention. Dr John Happs has been a science educator in the geosciences at universities in Australia and overseas. He has been following the IPCC scandal for nearly twenty years. References for every quoted statement are available on request to WA Skeptics. Do science academies and societies really support what the IPCC is saying? Every science academy supports the notion of catastrophic man-made global warming. Such statements don’t say whether academy members (the ones who do the actual research) agree with this. As you will see, there is no evidence that they do. In fact the reverse is true. The president of the Royal Society of London … drafted a resolution in favour of IPCC claims and circulated it to other academies of science inviting them to co-sign. The RSC president (who was not a member of the Canadian Academy of Science) received the RSL invitation. He thought it was consistent with the position of the great majority of scientists, as was repeatedly but erroneously claimed by Kyoto proponents, and signed it. The resolution was not referred to the Academy of Science for comment, not even to its council or president. had the potential to be too divisive and would not serve the best interests of the society as a whole. The Academy does not believe the science is settled regarding climate change. Many scientists and certainly most geologists know that climate changes are nothing unusual, based on past geological records. still much of the science that is uncertain. Continue to foster open and reasoned debate on all aspects of climate change but sees little point in promoting debate based on belief rather than evidence. The Australian Academy of Science’s (AAS) alarmist position on global warming (stated in 2010) was hardly surprising since it parroted the findings of the IPCC without asking its membership for their opinions. In 2009 the AAS President, Dr Kurt Lambeck secured $55,000 from the Australian Labor Government which was clearly promoting the catastrophic global warming alarmist view. This money enabled the production of the 2010 booklet: The Science of Climate Change: Questions and Answers. Only one of the AAS panelists was not an IPCC author, and Dr Kurt Lambeck made it clear that the panelists were to be reviewers and not authors. They could advise but were not allowed to change the document in any way. What you got was politics not science. Dr Garth Paltridge left the process indicating that he did not want to endorse the document in any way. As it happened, the 2010 booklet predicted a decrease in rainfall across Victoria and New South Wales. Within a few weeks Victoria and New South Wales experienced widespread flooding. Can you assure me that all members of the AAS were consulted about the conclusions reached in your report and if they considered those conclusions to be balanced? The Academy sought to ensure that the document represented the views of the expert climate science community in Australia and did this by using a Working Group of active climate researchers and an Oversight Committee of Academy Fellows with a high level of experience and expertise in Earth system science. One of the roles of the Academy Council is clearly to act for the entire Fellowship in endorsing statements prepared by subject matter experts after due consultation and consideration. In other words the general membership was not consulted and dissent was stifled. As you will see from what follows, this is likely to be the case for other societies and academies around the world. Not CO2, but water vapor is the most important greenhouse gas. It is responsible for at least 75 % of the greenhouse effect. This is a simple scientific fact, but Al Gore’s movie has hyped CO2 so much that nobody seems to take note of it. [Consequently] Every change in weather conditions is blamed on CO2. But the warm winters of the last few years (in Belgium) are simply due to the “North-Atlantic Oscillation”. And this has absolutely nothing to do with CO2. Until the science is settled, debate is reduced to a shouting match. Politics 1, science 0. The French Academy of Sciences has indicated that there still remains uncertainty regarding the climatic effects of human-induced carbon dioxide emissions. Their 2010 report was critical of the IPCC’s claim of scientific certainty regarding climate change and the central role of anthropogenic (man-made) carbon dioxide. The French Academy statement pointed to the role of other factors such as clouds and solar radiation. Mathematicians do not believe in crusades; they look at facts, figures, observations and arguments. There is not a single fact, figure or observation that leads us to conclude that the world’s climate is in any way disturbed. It is variable, as it has always been, but rather less so now than during certain periods or geological eras. The reason why there are no facts is because: (1) The factors that drive climate change are exceedingly complex and only imperfectly known. For example more warming causes more evaporation and therefore more clouds, but more clouds reflect more sunlight and therefore cause cooling. (2) The IPCC’s forecasts are based on computer models, not on actual weather observations. The IPCC models predict warming, but several satellite data sets uncontaminated by false effects (such as the replacing of trees by heat-retaining concrete) show no warming over the last 20 years. No climate conditions are going to occur here that already do not exist on the globe elsewhere and that we cannot cope with. The report went on to say that, should warming occur, there would be benefits such as longer growing seasons and reduced wintertime heating costs. Germans heat their homes for typically about 8 months per year. A Japanese Geoscience Union symposium survey in 2008 showed 90 per cent of the participants did not believe the IPCC report. Drs Maruyama, Akasofu, Kusano and Maruyama state that the main influences on global climate over time may be global cosmic rays and solar activity. In other words if you really want to influence climate, you should lose interest in CO2 and do something about the sun. Experiments in natural science show that one-sided observations, those that take no account of the multiplicity of factors determining certain processes in the geo-system, lead to unwarranted simplifications and wrong conclusions when trying to explain natural phenomena. Politicians who rely on incomplete data may take wrong decisions. It makes room for politically correct lobbying, especially on the side of business marketing of exceptionally expensive, so called eco-friendly, energy technologies or those offering CO2 storage (sequestration) in exploited deposits. It has little to do with what is objective in nature. The PAN Committee of Geological Sciences believes it necessary to start an interdisciplinary research based on comprehensive monitoring and modelling of the impact of other factors – not just the level of CO2 -on the climate. Only this kind of approach will bring us closer to identifying the causes of climate change. In the coming years the temperature over the entire planet will fall. The average temperature on Earth is now returning to the level of the 1996-1997 years, 0.3C lower. Again, the IPCC models may predict warming, but since the world has not warmed over the last 20 years, why should you believe them? The Society and the IPCC do not reflect the views of all members of the Society or of all, or even a majority, of meteorologists, climatologists and physicists. A central presupposition of Summerhayes’ letter, and that of the GSL statement on climate change (that CO2 concentrations are a direct cause of temperature change) has not been proved by any of the statements in this or any other of his letters or IPCC reports, or by any research data. 1. Failed to explain its twenty three year long track record of proven inability to accurately predict climate change? 2. Not publicly and fully disclosed inherent flaws in its methodology that have been repeatedly pointed out by its critics? 3. Kept silent on other climate theories and models that are far superior to those used by the UN-IPCC? There was no reported reply. There remains the possibility that hitherto unknown aspects of the climate and climate change could emerge and lead to significant modifications in our understanding. unnecessarily alarmist position on climate change. If you talk to real scientists who have no political interests, they will tell you there is nothing in global warming. It’s an industry which creates vast amounts of money for some people. The Society welcomes this opportunity to submit evidence to the Science and Technology committee on the disclosure of climate data from the Climatic Research Unit at the University of East Anglia inquiry. The RSS believes that the debate on global warming is best served by having the models used and the data on which they are based in the public domain. The raw data, and associated meta-data, used for these analyses should, within reason, also be made available. The RSS believes that a crucial step in improving the quality of the debate on global warming will be to place the data, the analysis methods and the models in the public domain. In other words why should anyone believe you unless you provide the data? In fact the emails were not forgeries. All were genuine. The CRU e-mails as published on the internet provide prima facie evidence of determined and co-ordinated refusals to comply with honourable scientific traditions and freedom of information law. The e-mails reveal doubts as to the reliability of some of the (climate) reconstructions and raise questions as to the way in which they have been represented. There is also reason for concern at the intolerance to challenge displayed in the e-mails. This impedes the process of scientific “self correction”, which is vital to the integrity of the scientific process as a whole, and not just to the research itself. In other words yet another case of politics 1, science 0. In 1991, a survey of US atmospheric scientists confirmed that there is no consensus about the cause of the slight warming observed during the past century. They pointed to sunspot variability, rather than anthropogenic (man-caused) carbon dioxide, as being responsible for the global temperature fluctuations recorded since the 1800’s. Are you saying: If we don’t do these things, we’re going to go to hell in a handbasket, we’re going to fry, in a few years. No. I don’t think it’s useful, I don’t think it gets us anywhere, and we don’t have that kind of evidence. Measured or reconstructed temperature records indicate that 20th – 21st century changes are neither exceptional nor persistent, and the historical and geological records show many periods warmer than today. The APS response to the petition was the appointment of a committee that took months to review the 157 word Statement. Only one of the members was familiar with the climate science field, and more than one had a vested interest in continued climate alarm. The committee’s final report referred only to IPCC reports and its supporting material, and so we had the predictable outcome: not a single change to the original Statement. Thus, as is the practice of bureaucracies, a position once taken is rigidly adhered to, even when the process that produced it was flawed. This is truly upsetting to me, as a physicist. I had seen the revolt against the original policy statement (the science is incontrovertible) and expected that surely the voices of reason would prevail, particularly since physicists are (I thought) less dependent on CAGW funding than atmospheric chemists, oceanographers, dendrochronologists, etc. But it was not to be. Feynman, as far as I know, is the only person to resign from the National Academy of Sciences, on the grounds that the organization only exists to select (or blackball) new members. But now there is an order of magnitude more funding at stake, so we see that such organizations also exist mainly to assure future funding for their members. So the policy statements are created BY Society bureaucrats (e.g., Leshner of AAAS), FOR government bureaucrats (Chu of DOE), without troublesome input from members. This [the original draft] was unfortunately changed “on the fly, over lunch” by several [APS] Council members who were not pleased with the mild tone of the drafted statement. Then the modified statement was voted on at the end of the Council meeting (probably as people were leaving to catch planes) [parentheses in original]. As I reflect on my experience, I cannot avoid the question of whether we have passed the point of no return, whether the descent of once grand scientific societies into advocating bureaucracies and self-satisfied clubs lobbying for funds can be arrested, reversed, and integrity restored; or is what we have now a permanent feature of modern science – a postmodern distortion of the best values of the scientific tradition that has served humanity well for centuries. Climategate was a fraud on a scale I have never seen. … the global warming scam, with the (literally) trillions of dollars driving it, that has corrupted so many scientists, and has carried APS before it like a rogue wave. It is the greatest and most successful pseudoscientific fraud I have seen in my long life as a physicist. There is a considerable presence within the scientific community of people who do not agree with the IPCC conclusion that anthropogenic CO2 emissions are very probably likely to be primarily responsible for global warming that has occurred since the Industrial Revolution. The science of anthropogenic climate change is becoming increasingly well established. ACS members also rebuked Baum’s use of the word “deniers” stating that it was a derogatory term associated with Holocaust deniers. In addition, the scientists called Baum’s editorial “disgusting; a disgrace; filled with misinformation; unworthy of a scientific periodical; and pap”. A survey of members, published in the Bulletin of the American Meteorological Society found that 50% disagreed or strongly disagreed with the statement: “Most of the warming since 1950 is likely human induced.” In fact only 8% strongly agreed. The American Association for the Advancement of Science (2014) broke my heart, by releasing a wildly unscientific report that cherry- picked only the studies that gave it the inflated consensus figures it wanted — many of which are so bad as to be inadmissable. When scientists want to review a body of research, they conduct a meta- analysis that includes all the research that meets certain criteria of rigor and validity. The AAAS strangely chose not to perform a meta-analysis — they simply ignored most studies, and cherry-picked four studies that gave them the inflated, shock-value numbers they wanted. Among the four was an obsolete one-page study from 2004 that doesn’t clearly describe its methods (Oreskes, 2004, yes, it was only one page long). That is, they skipped past all the more recent and credible studies from the intervening decade (e.g. Harris (2007), Bray and van Storch (2008), and others) to reach all the way back to a junk study from 2004. I’ve never seen such behavior – we clearly can’t do anything with mysterious one-pagers from 2004. This isn’t what I expected. I have no doubt that … a trend of global warming exists. But I am not sure it is fair to say it is a problem we must wrestle with. To assume that it is a problem is to assume that the state of Earth’s climate today is the optimal climate, the best climate that we could have or ever have had, and that we need to take steps to make sure that it doesn’t change. First of all, I don’t think it’s within the power of human beings to assure that the climate does not change, as millions of years of history have shown. And second of all, I guess I would ask which human beings – where and when – are to be accorded the privilege of deciding that this particular climate that we have right here today, right now is the best climate for all other human beings. I think that’s a rather arrogant position for people to take. We, the undersigned, respectfully request that NASA and the Goddard Institute for Space Studies (GISS) refrain from including unproven remarks in public releases and websites. 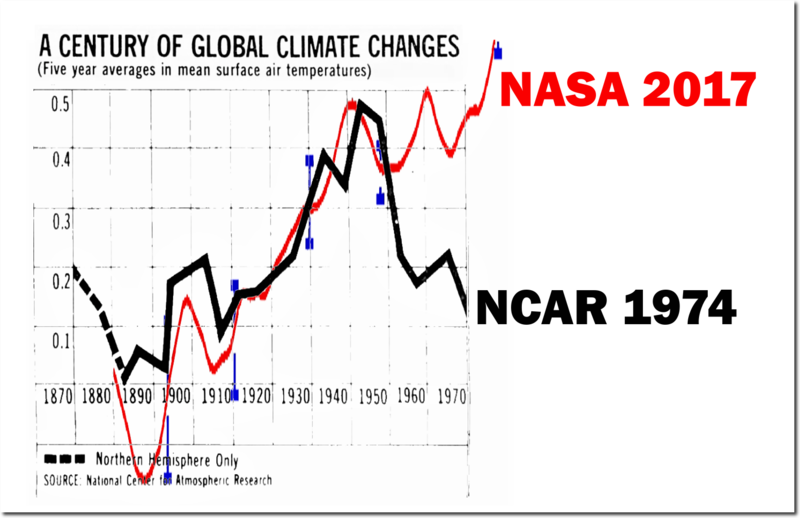 We believe the claims by NASA and GISS (that man-made carbon dioxide is having a catastrophic impact on global climate change) are not substantiated, especially when considering thousands of years of empirical data. With hundreds of well-known climate scientists and tens of thousands of other scientists publicly declaring their disbelief in the catastrophic forecasts, coming particularly from the GISS leadership, it is clear that the science is NOT settled. As former NASA employees, we feel that NASA’s advocacy of an extreme position, prior to a thorough study of the possible overwhelming impact of natural climate drivers, is inappropriate. We request that NASA refrain from including unproven and unsupported remarks in its future releases and websites on this subject. At risk is damage to the exemplary reputation of NASA, NASA’s current or former scientists and employees, and even the reputation of science itself. Ref: Letter to NASA Administrator Charles Bolden, dated 26 March 2012, being a request for NASA to refrain from making unsubstantiated claims that human produced CO2 is having a catastrophic impact on climate change. There is no convincing physical evidence of Catastrophic Anthropogenic Global Warming. Most of the alarm regarding AGW results from output of unvalidated computer models. 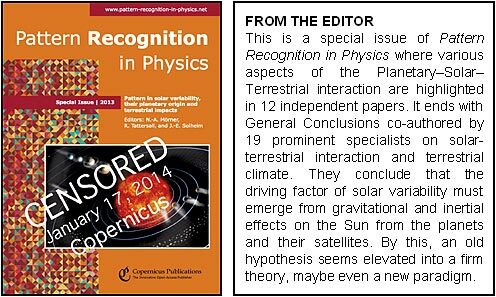 The journal Pattern Recognition in Physics was established in March 2013 but was closed down by its German publisher Copernicus in January 2014 when the first issue (devoted to factors driving solar variability) concluded that we are on the way to a grand solar minimum, which happened to contradict the IPCC’s predicted warming. The editor explains that the publisher was alarmed by the doubt cast on the IPCC’s prediction “and took the unbelievable decision to close down the entire journal … by this decision we were suddenly thrown back … to the stage of inquisition and book burning. [The publisher] has disgraced itself in this desperate act of trying to cover up for IPCC.” The picture shows the cover with added editorial comment. 13 Further Reading In response the publisher queried the impartiality of the editors and their peer-review process, which he said amounted to “malpractice in scientific pubishing”. But the same could be said of any new journal when it is starting up and looking for articles. In this case the contents are state-of-the-art by 19 leaders in the field of solar variability. And you can judge everything yourself because actual censorship of an open-access journal is not possible — anyone can still access all the articles by free download from www.pattern-recogn-phys.net/volumes.html. Visit Amazon for book titles on “global warming” and “climate change”. The large numbers of titles criticising the IPCC (many more than those shown in our first visual) may overwhelm you. Yet they all say much the same. Their numbers imply that many people still do not know the other side of the IPCC story. How is this possible? By now you should know the answer: money and politics.